Mel Foster Co. has been instrumental in the industrial development of the Quad Cities market for three generations, working with some of the largest industrial facilities in the area as needs demanded. 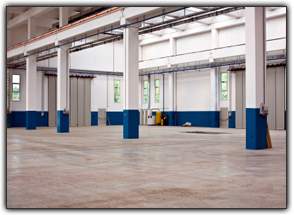 The industrial market has a character all its own, with unique challenges for each property or project. Success in the industrial arena begins with knowledge of the general industrial process and both the structural and support requirements demanded by the process. These requirements range from high voltage wiring, floor and ceiling load bearings, loading and/or docking access for truck or rail service to employee amenities, parking and offices. Outside the building, other considerations may include city or county ordinances, zoning codes, environmental issues, tax incentives, ownership covenants, supply routes, and all other issues that Mel Foster Co. has built into their expert experience base in the industrial market. Our experts stand ready to evaluate, negotiate and investigate the best options to meet your needs. Our extensive background in this market allows for a vast resource of market expertise and support structures ready to help expand your growing business or dispose of excess assets.